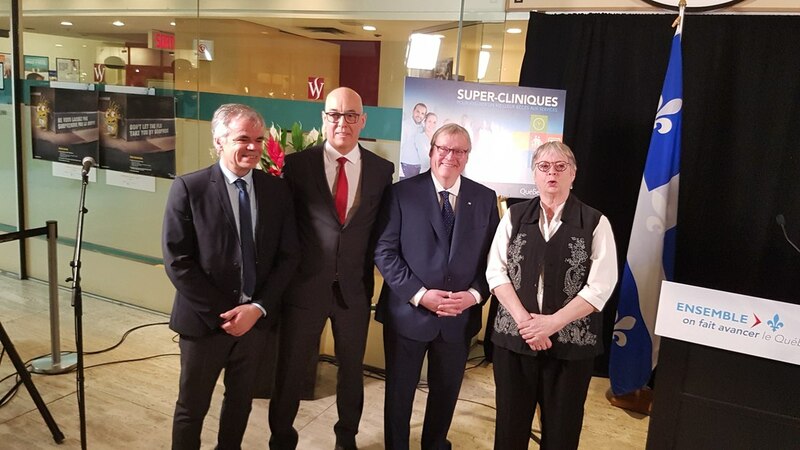 We're pleased to announce that starting April 1st, we will be Montreal's latest Super Clinic! We're actively seeking new medical professionals. The Westmount Square Medical Center combines a downtown Montreal walk-in medical clinic, a family medicine clinic and a medical specialty clinic in order to offer our patients access to a complete spectrum of care. We can also facilitate access to a medical imaging center and to a gastroenterology clinic in the same downtown Montreal building. Your medical centre offers you a full line of services and care in the heart of Montréal, with direct access to Atwater Metro. Your downtown Montreal medical clinic includes over 40 doctors and health care professionals, as well as a large number of medical specialists and other related services. Westmount Square Health Group uses email and phone communication to share valuable information that is helpful to you. This includes appointment reminders, requests so see your doctor, changes to hours of operation, updates on programs and services, health promotion and some patient care topics. Westmount Square Health Group will respect confidentiality and will not share your personal information for commercial purposes.